Skin conditions like eczema are amongst the most common reasons parents bring their children to see a physician. In fact, next to constipation, eczema is the most common childhood condition I see in my practice. In this article, we will discuss the possible causes of eczema and highlight the most effective treatments. Eczema can affect infants, toddlers, and children of any age and can present in a number of different ways. Eczema typically affects the front side of the body especially the elbow creases, hands, and face but can occur anywhere. Sometimes eczema develops very early in life and continues until the cause is identified and treated. Sometimes eczema develops later in life after known exposures and triggers. Although eczema can appear at different stages of life in different locations on the body the causes and triggers always need to be identified and treated to have long-term success. Eczema is an inflammatory condition where inflammatory molecules cause damage to the skin, resulting in red patches of inflamed skin. In most cases of eczema, the causes of the inflammation do not come from contact to the skin. In fact, the most common causes of inflammation that induce childhood eczema stem from the diet. The two most common dietary problems are food allergies and poor nutrition. Food allergies occur when the immune system attacks certain food molecules in the digestive system. The type of food allergy most associated with eczema and other skin conditions is called a Type II Delayed Sensitivity Reaction. This type of allergy results in the production of immunoglobulin G (IgG), which induces inflammatory damage not only to the food molecules it attacks but also leads to systemic inflammation. Testing for Type II food allergies is a simple lab procedure that can be done with a small blood sample drawn at the office and sent to a lab for analysis. This is the most common test I run in my office and often identifies the most significant causes and triggers of the patient’s eczema. Food allergy testing is the fastest and most accurate way to identify Type II allergies. Poor nutrition can cause eczema by either contributing to inflammation in the digestive tract or resulting in nutrient deficiencies. The most common type of poor nutrition I see is the high sugar diet, where nutritional intake is comprised largely of refined sweetened foods. This type of diet often leads to digestive problems like constipation, which contributes to more inflammation. A high sugar diet also contributes to the inadequate intake of essentials nutrients like omega-3 fatty acids, which are crucial for skin health. In the conventional medical system, eczema is typically treated with topical applications of creams and ointments. 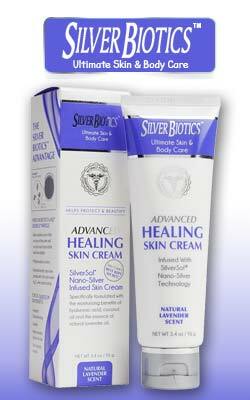 The most common topical application is corticosteroid cream. Corticosteroids are designed to decrease inflammation at the applied site. Unfortunately, they typically provide temporary relief because they do not address the actual causes and triggers for the inflammation. In fact, repeated corticosteroid cream actually harms the skin by causing thinning. I recommend corticosteroid cream be the treatment of last resort for eczema, especially in children because of the consequences of repeated use. The natural treatments for eczema are focused around treating the inflammatory causes of eczema. Food allergy testing, elimination diet, and optimal nutrition are often the most important treatments for eczema because they address the underlying inflammation. Topical treatments are often a part of the treatment but shouldn’t be relied on as the only therapy. There is no shortage of “miracle natural eczema creams” on the market. The only problem is that they don’t address the systemic causes of inflammation and typically give temporary relief like a corticosteroid cream without the side effects. If your infant, toddler, or child has eczema I recommend you see a naturopathic physician to identify the causes and triggers of the inflammation causing their skin condition. For more information on naturopathic medicine or to schedule an appointment please visit my website at www.drbrentbarlownd.com or contact my office at: (250) 448-5610.